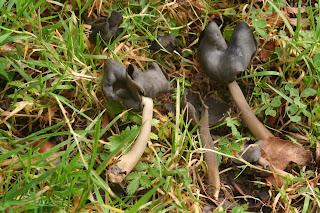 Carmarthenshire Fungi: Helvella elastica ---- Elastic Saddle and Helvella atra. 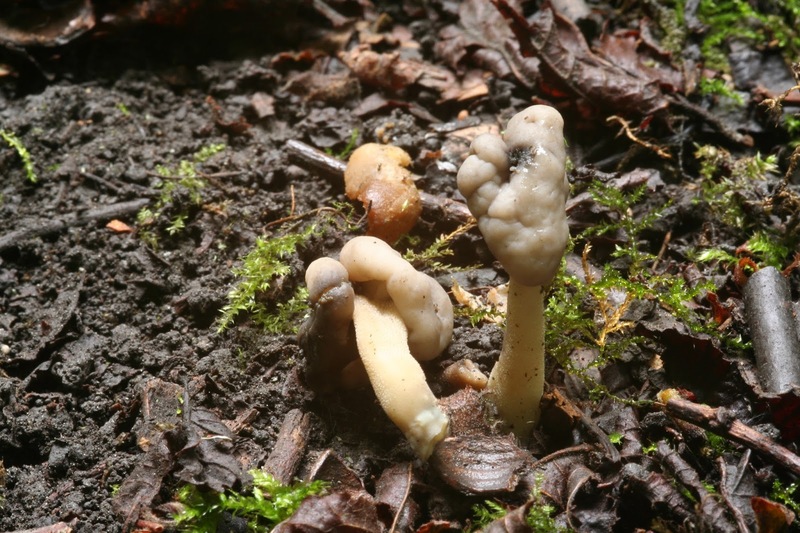 Helvella elastica ---- Elastic Saddle and Helvella atra. Helvella elasica -- Elastic Saddle is an occasional find. This is from the 'Ashpits' woods at the edge of Burry Port. These have been seen in the same small area for several years (not 2015 which was drier). They are under Hazel planted at this spot in 2000. They are in dark shade so photography was difficult. The colours are rather different in better light! These were from the same spot in July 2007. The fertile heads are distorted so must have been affected by something. 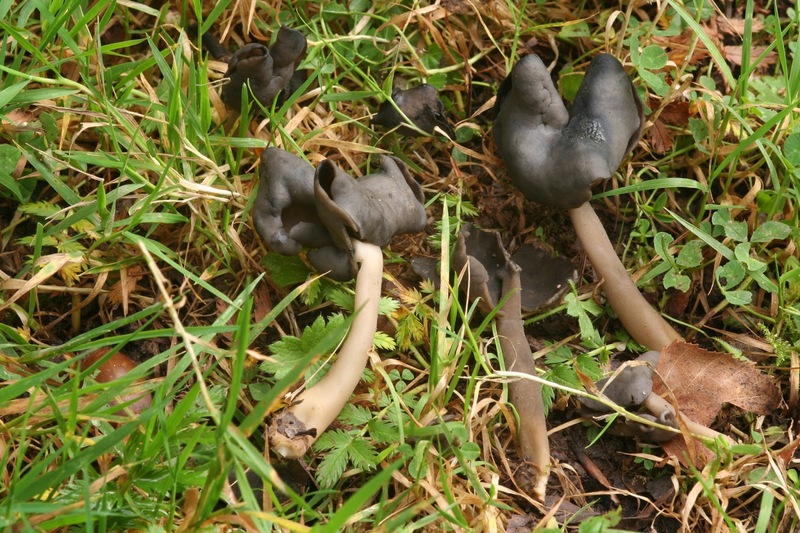 Helvella atra --- has a similar shape and size but has a dark fertile head. This is a much less common species. These were photographed in the Forest of Dean. In Sept 1994 Geoffrey Kibby made a collection from Pont Felin Gat during a BMS foray based in Swansea. Many years ago I found some on a river bank at Trosserch Woods. I've never found a Helvella, guess I better get down to the Ashpits. Nice find. Helevlla lacunosa fruits in the Principality car park at the Botanic Garden very autumn. Odd place, especially given the compaction by car wheels. Not surprised Bruce --- as I find this at edge of some well worn paths in Pembrey forest. I like Helvellas --- not too many of them!